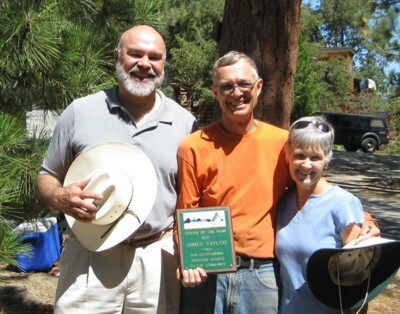 Jim Taylor was awarded the Mountain Communities Fire Safe Council “Citizen of the Year” award for 2010. Jim has spent countless hours working with the “Woodies” and helps organize various MCFSC events. Jim was given this award for his years of dedication to the Woodies, his unfailing reliability, his help and skill with all things mechanical, especially involving the transport of equipment, and his extraordinary good nature in the conduct of the work.